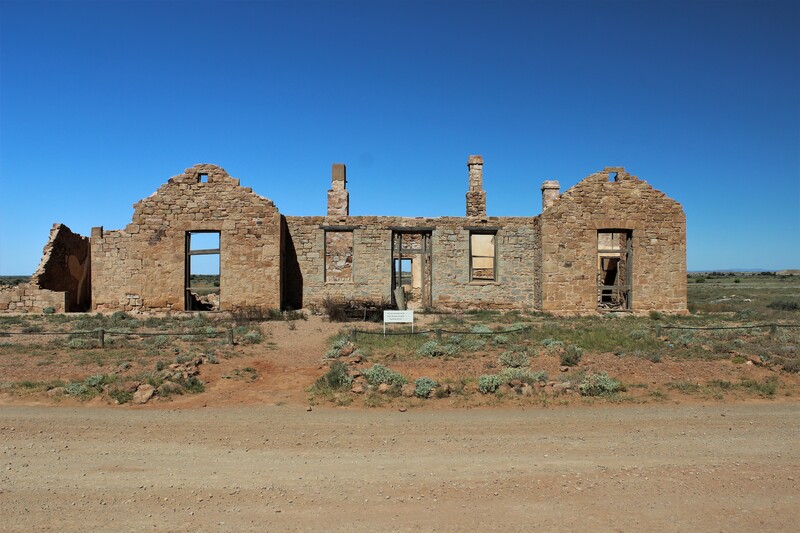 The Month of May is History Month in South Australia, so with that in mind we packed up our toys and headed North and South looking at South Australian early history. 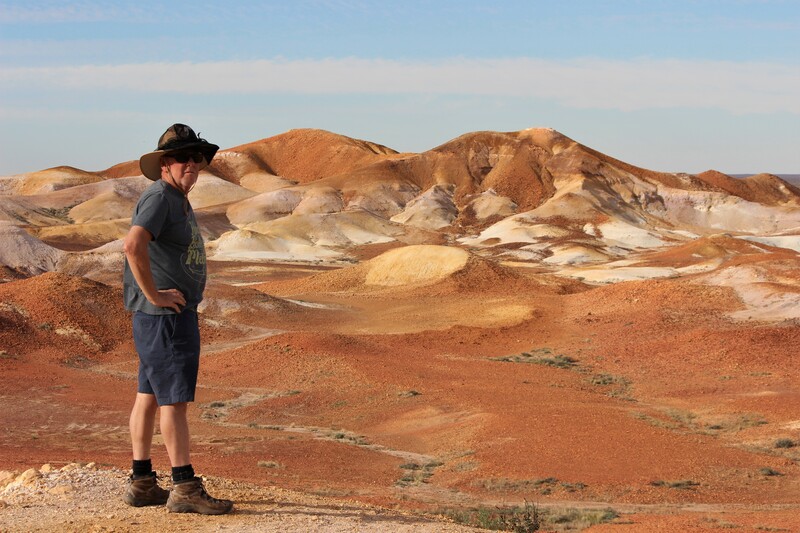 I never tire of the outback landscape with its’ ever changing colours and geography. 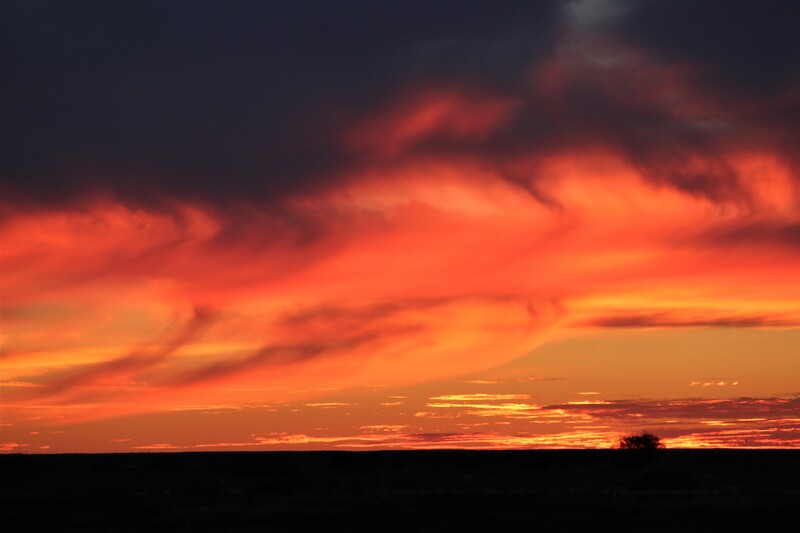 We visited many ruins as well as a few surviving outposts and watched many sunsets across the northern plains. 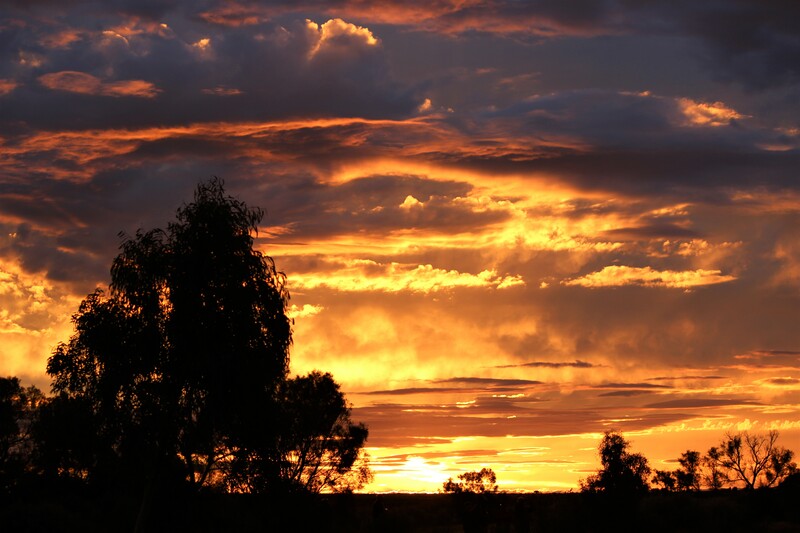 The sunset was fantastic but the storm clouds meant the track might be closed by rains. 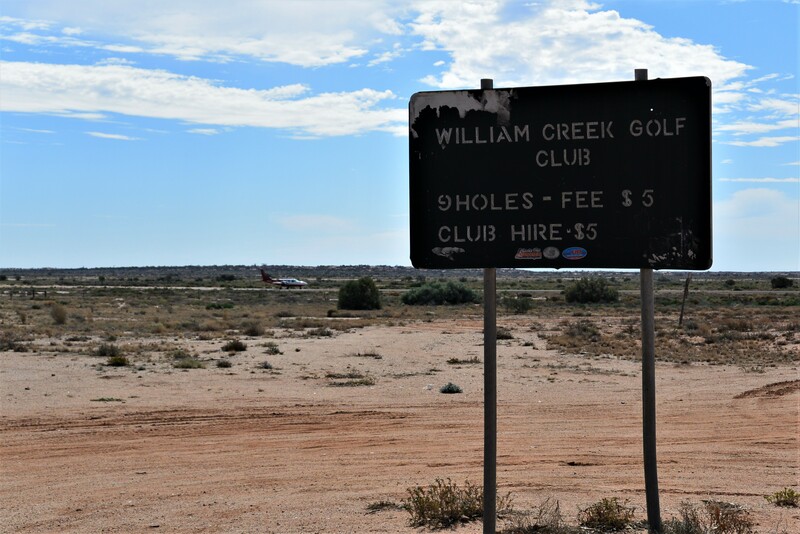 It’s interesting to meet unusual people along the way and to chuckle at the humour of these outback places. This is a great golf course and affiliated with St Andrews in Scotland. Obviously they never checked out the course !!! 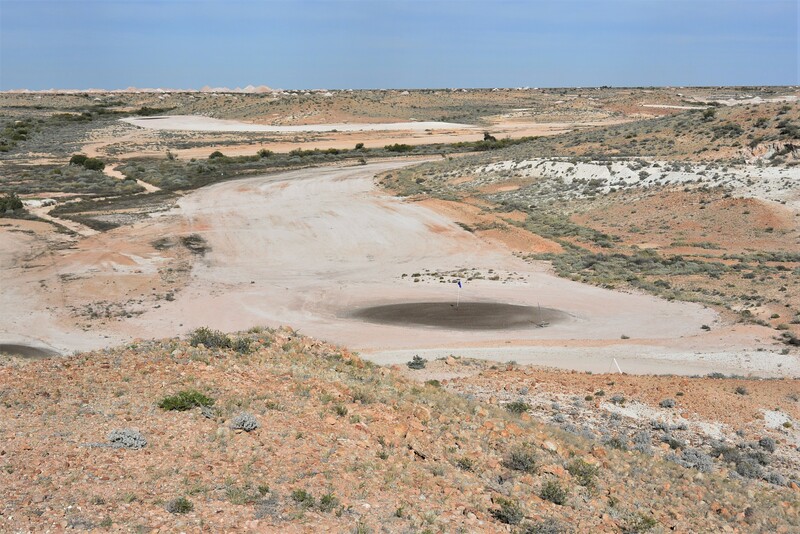 Sometimes there is a meeting of the “ships of the desert” and this time it happened 25 km north of Lyndhurst. 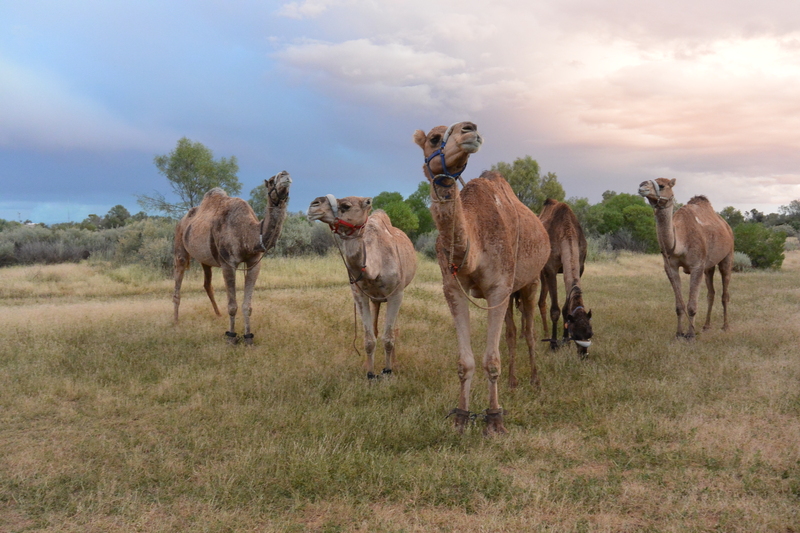 A camaleer and his wife had been walking cross country with 6 camels from Gympie in Queensland and were headed west to Roxby Downs. That’s about 2000km as the crow flies and then they have the return journey. That’s my “ship of the desert” against the tree. 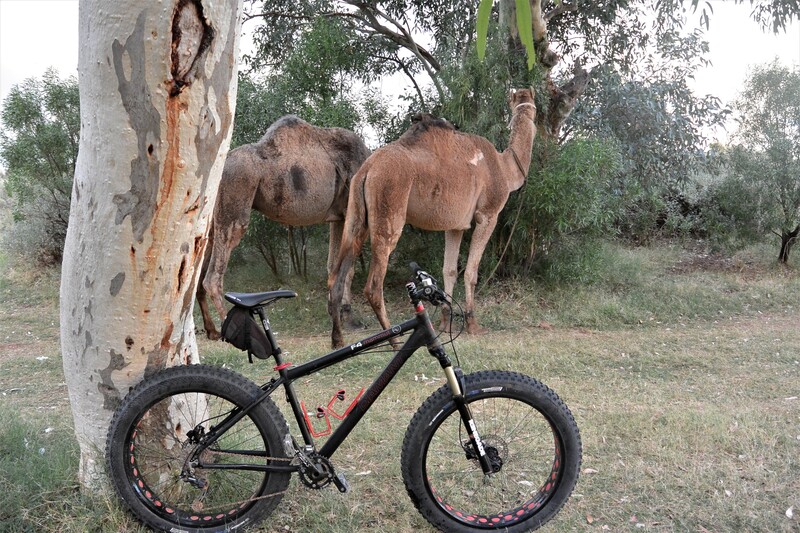 Diamant Fatbike with 5 inch tyres and lots of suspension. 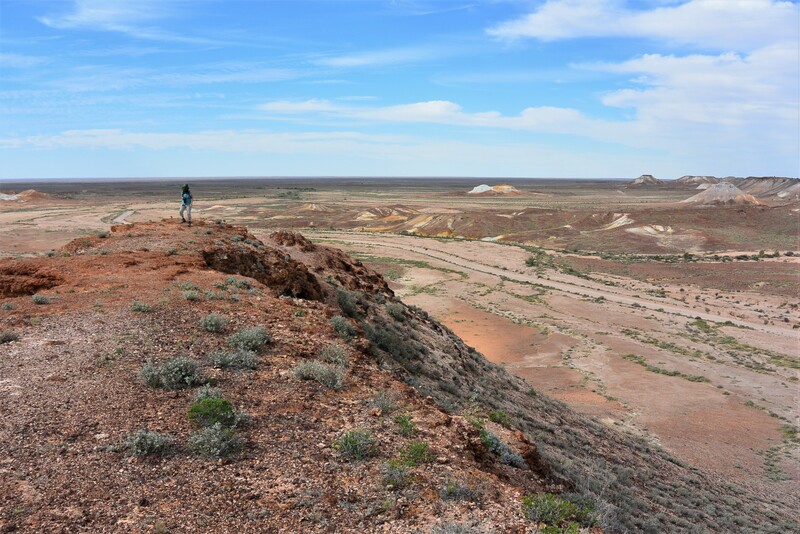 The scenery is stunning in its harshness, even when we have had great rains and the vegetation is green and thriving. Not much greenery here. 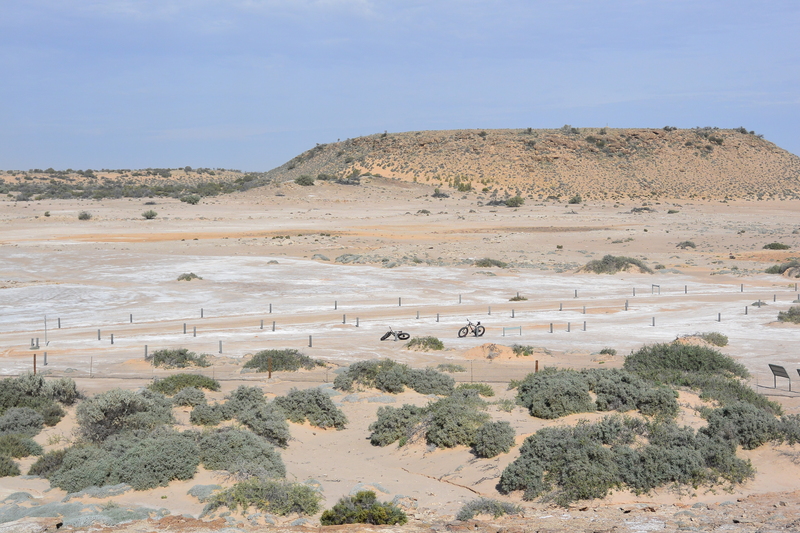 Spot the bikes parked in the “carpark” at Blanche Cup mound Springs Oodnadatta Track. Anyway there were too many places to describe and far too many photos to show here. Then it was back south to revisit a couple of our favourite haunts by kayak. We often paddle past 2 wrecks, one well known, at the edge of suburbia in Gulf St Vincent, and one at the far south end of Gulf St Vincent that few people remember. The Star of Greece wreck is just out of Adelaide near what was once the small village of Pt Willunga but is now almost a suburb of Adelaide. I have paddled past it countless times over the years taking time to snorkel the area during the summer months, when it is often uncovered. This is an easily achievable paddle for any sea kayaker in good conditions. 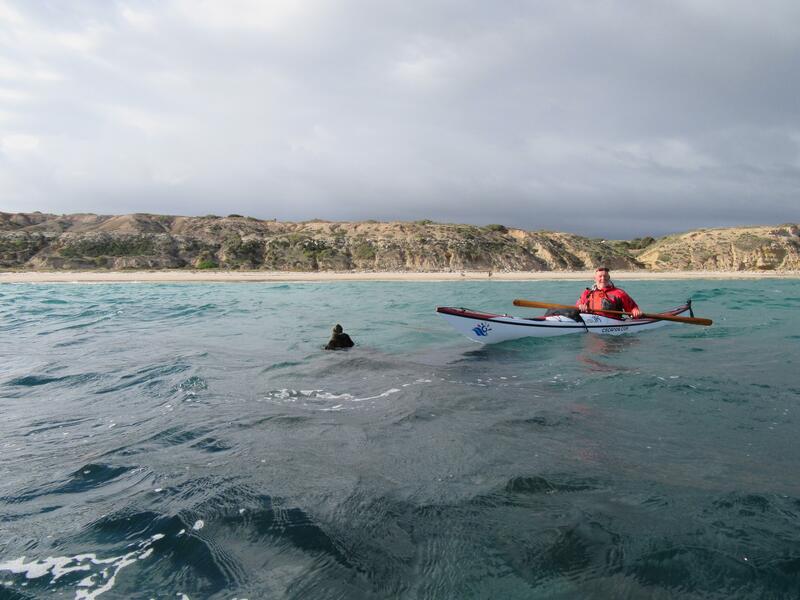 Generally we launch from Moana Beach and paddle south for an hour or so (6.5km) to reach the wreck which is only 200m off the Pt Willunga beach. May being History Month I revisited the story of the wreck. The most striking part of the tragedy was that the ship was only 200 metres from shore when it broke in two amidships at 2.00am. The alarm was raised at 7.20am by a young boy taking his morning walk but because the Willunga telegraph station didn’t open until 9.00am, former harbourmaster Thomas Martin was unable to contact authorities in Adelaide until then. Luckily the Gulf St Vincent where the wreck lies is generally calm and easily accessible by kayak however I have seen mountainous seas on that beach when the winter SW storms arrive direct from the Antarctic. One of the other interesting wrecks that I often pass is the Ellen, which lies in shallow water on Morgans Beach, which is the first beach as you pass into Gulf St Vincent rounding Cape Jervis. 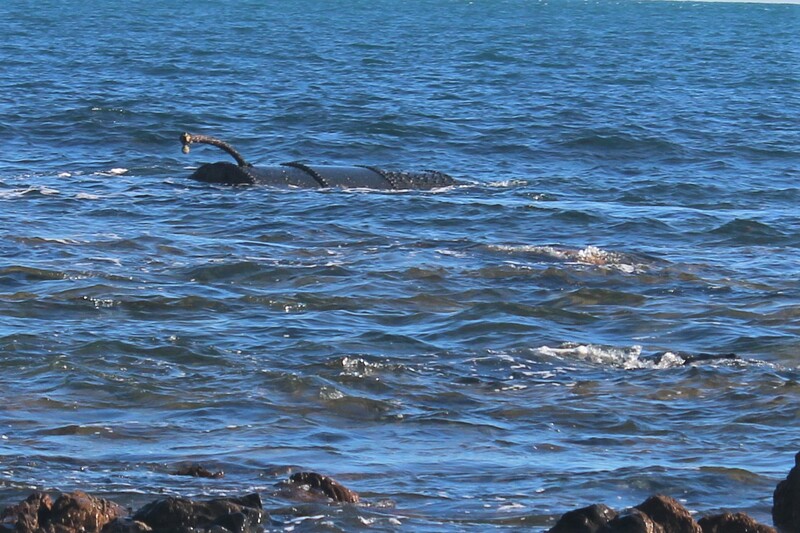 Not much remains of the wreck except the boiler and breather tube which are visible at low tide. Occasionally in very calm conditions I have been able to paddle to the boiler and you can still hear the boiler breathing as the swell pushes air through the breather tube. 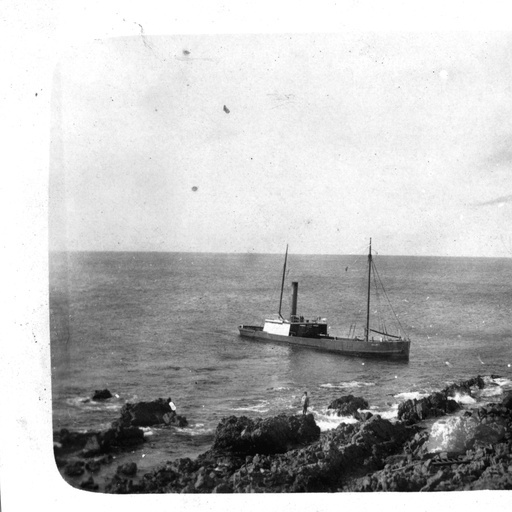 On Saturday, 12 December 1908, Ellen returned from Hog Bay on Kangaroo Island en route to a destination on the mainland with a load of fish valued at £50. Ellen encountered very rough conditions when passing Cape Jervis. The rough conditions included a sudden swing in wind direction from the South West to the North West. As a result, the ship drifted astern towards the shore until its stern run aground on the rocky seabed. The bow was then swung around onto the rocks by the waves thereby completing the wrecking. 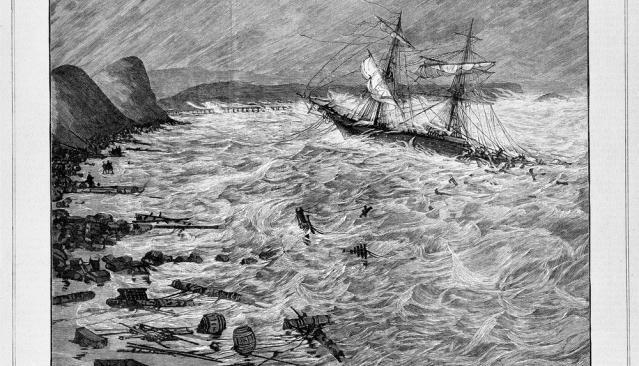 The heavy sea then continued to pound the wrecked vessel, washing fittings and timber overboard and onto the shore. The crew escaped to shore via the use of a dinghy while Mr Newlands swam to the shore. Recently I visited Morgans Beach and stood on the same rock (I think?) as the person in the photograph. 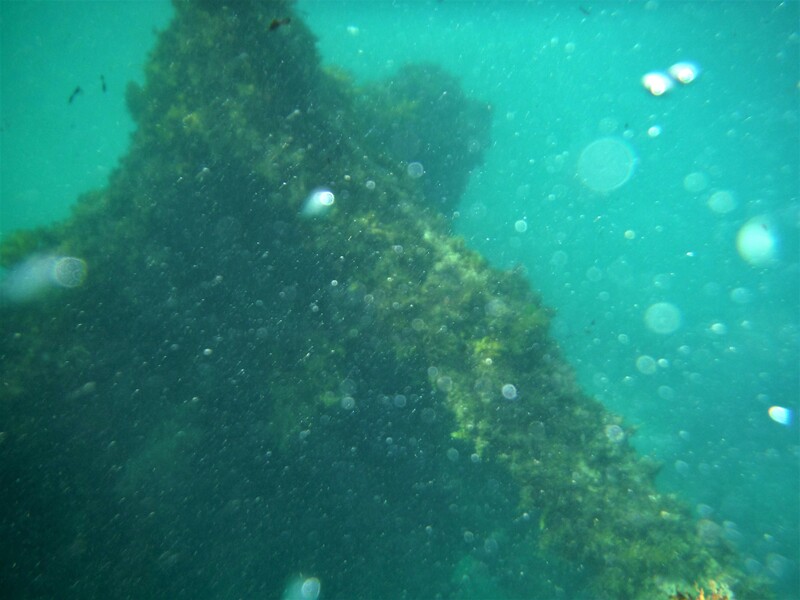 Both wrecks are well worth visiting especially on a calm day when you get a close inspection. Well that was May, History Month for us. HI Geeks. Thanks for your comments. Shipwrecks are indeed interesting locations to paddle to because we can easily see ourselves in the same situation: kayak-wrecked. They are also in rugged locations which gives us another reason to get out there and “Go paddling”. History indeed. 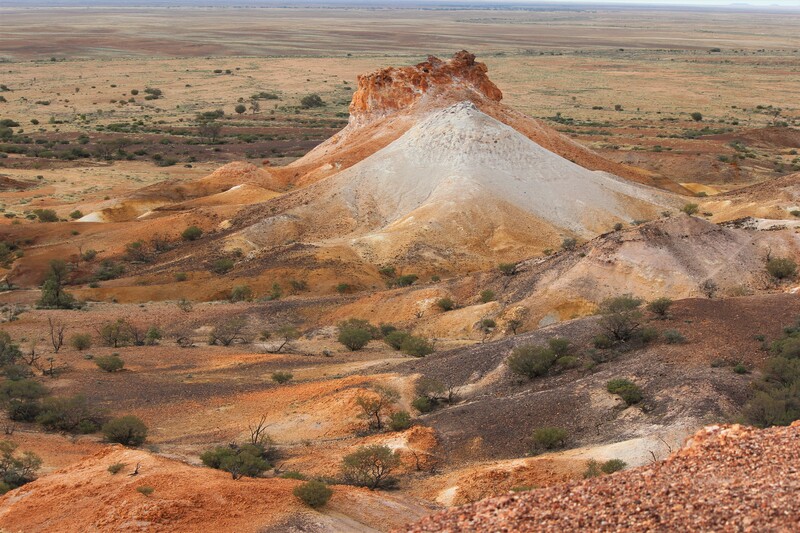 Australiana, magnificent photo Aussie hat and outback dreamtime colours. Could be on another planet. Love the Star of Greece photos and chronicle.